Adryenn Cantor’s expertise in litigation and mediation of family law has led her from city to city, and finally back home, complete with a map for the future of family law, in cooperative divorce. AV® Martindale-Hubble-rated attorney Adryenn Cantor is no stranger to San Diego, nor to the California State Bar, particularly the California Family Law Executive Committee. She graduated from law school in San Diego (at what was in 1979, Western State University College of Law, but is now Thomas Jefferson School of Law) and has spent years serving the State Bar. But even those noteworthy efforts on her part aren’t necessarily why she’s so well known. 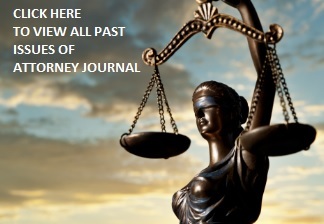 That reputation for expertise and experience in family law stems from her years of running litigation and mediation practices in cities up and down the coast of California, and more than a decade of work training others in mediation, developing a revolutionary mediation paradigm aptly titled the Adryenn Cantor Mediation Process. Cantor’s path to the top of family law litigation and mediation was nothing if not a winding road. Married at 19, Cantor was a mother of four children aged 3-14 when she went back to college, intent on becoming a psychologist. As she prepared to take her Spanish final, her husband suffered an intracranial hemorrhage. Though he would fully recover, the very real possibility that she would be alone to provide for four children prompted her to consider a different career path. She set her sights on law school. Within 3 and one-half years of taking that final, she became a lawyer, unfortunately, at the same time she was in the process of getting a divorce. Cantor had decided that if there was one field she wasn’t interested in pursuing, it was family law. However, she couldn’t help but notice that at that time, there were very few women practicing law, and “family law was the only place we were really accepted.” Still, she had no interest in the field. A couple of phone calls changed her mind. The first was from an electrician, who queried as to whether or not she would handle his divorce. Because she was now on her own and the sole support of herself and the children in her care, she said yes. To hear Cantor tell it, “and there I am…in family law court.” The case was resolved with a favorable outcome for her client, who then referred another client (this time a plumber, also needing a divorce) and Cantor had begun to rethink her staunch adversity to practicing family law and decided to ride the horse in the direction it was running, opening her first full-time family law practice. A second pivotal call helped launch Adryenn Cantor into her family law career. The call came from Mitchell, Ashworth, Keeney, Barry & Pike attorney Gary Pike. “Gary called and asked if I would interview with their firm. They’d never hired a woman. I became the first woman attorney with the firm, and they went on to hire 7 women associates after that,” she recalls proudly. She spent the next couple of years with the firm, with great success. But in 1982, a case would change Cantor’s trajectory, both legally and geographically. “I was the third attorney to work on the case. My client wanted an order in place whereby her ex-husband and son’s father would only be able to see the child in Arizona. Her goal was to make sure that he did not have his son in his life. I won that case. But when I looked at the boy’s father, I saw the cost of that win on his face. I was disgusted, and saddened,” she says. Cantor made a decision as a result, which had her moving with her daughter to Monterey to begin training as a mediator. She became actively involved in helping initiate a mandate to educate the Family Law Bar statewide about mediation through C.E.B courses. With training under her belt, she would spend the next five years mediating and litigating in greater metropolitan San Francisco. At the time, she recalls “there was a stigma in Southern California that ‘weak’ attorneys became mediators. In Northern California, the opposite was true. Good litigators made for good mediators.” Eager to further the awareness of mediation as an alternative to litigation, Cantor moved back to Southern California, where she was hired by Arlene Coleman Schwimmer, who had a thriving litigation practice “to the stars” but who allowed Cantor to litigate for her firm while also mediating with some of her clients. This led to Cantor relocating a solo litigation and mediation practice in Santa Monica, founding and directing Legal Alternatives Mediation Services, which would ultimately have her on the road once again. Adryenn took her expertise on the road for the next decade. She’d developed a mediation training program that was highly sought after by those both in and outside of the legal community. “I developed a mediation model used widely in California, by many who have taken my introductory and advanced seminars. I wrote, produced, lectured and taught this model in California and Nevada beginning in 1993,” she says. Simply titled the Adryenn Cantor Mediation Process, she loved the mobile work of training attorneys, judges, financial professionals, psychologists and others in effective mediation. The value of this work did not go unnoticed. “Several judges in the California courts implemented a pro bono mediation program for family law litigants and trained lawyer mediators, after receiving this training,” she says. Moreover, the California Bar began to take notice of her skills, and Cantor became a respected participant and speaker on various panels held by the California State Bar, Continuing Education of the Bar (C.E.B) and for many local Bar Associations seminars, including San Francisco, Los Angeles and San Diego. She also began contributing to legal journals and other publications on family law issues and served for a time as the Mediation Editor for the California State Bar Family Law News. She also appeared as a regular guest on radio and television programs, speaking on current California family law issues. However, after more than a decade of constant travel up and down the California coast and in Nevada, Cantor decided to once again set down roots. She opened a practice in litigation and mediation in Irvine, California and launched a year-long Mentorship Program assisting litigation attorneys in having a mediation practice. Shortly thereafter, she became interested in Collaborative Law, and by 2005, she was a Collaborative Law Lawyer.a group of judges. Her passion for helping people through the process of divorce has never waned. In 2006, Adryenn, started to notice that all signs were pointing her back towards her San Diego roots. It had been about 25 years since she’d left, and her mother was getting older, and Cantor frankly knew a ton of people in San Diego. Her collaborative law practice was in full swing, and she was litigating and mediating as well. Ultimately, the decision was made quickly, knowing that the business would follow from Irvine to San Diego. She soon found herself back in her old stomping ground, and back to business in the local market, a market she was determined to serve with the best options for divorce. “I believe in Collaborative Law. I was trained in it, and it works very well for a lot of people,” she says. However, there are a couple of glitches with Collaborative Law that can be problematic, as Cantor sees it. “Collaborative Law is a process by contract. Each party has an attorney; the requisite neutral financial professional is involved, as well as other members, such as mental health professionals which comprise the ‘team’ that is involved in the dispute.” That can lead to problems, Cantor says, as the attorneys involved therefore owe “allegiance to the team.” That means, on occasion, the attorney may have to break attorney-client confidentiality, which doesn’t sit well with Cantor. Moreover, with a collaborative law contract, should the process fail, the parties are not permitted to use their collaborative attorney in court. Cantor started looking at other alternatives for divorce. She alighted upon something she calls Cooperative Divorce, and this year, she launched the Cooperative Divorce Project. Cooperative Divorce, like Collaborative Law, also works from a contract. However, should the cooperative process fail, clients are still granted the opportunity to keep their same attorney. “I’m in the fleshing out stage,” she explains. However, she notes that Cooperative Divorce is philosophically aligned with the present court system, so there is no re-training necessary for attorneys to understand the process. Each party has an attorney, and together, the parties and their attorneys will determine if litigation is necessary, or if the divorce may be settled with a neutral financial person and/or mental health professions, or other experts. For now, Cantor acknowledges that there is little “talk of Cooperative Divorce.” So, keeping true to her innovative nature, she’s launching the project on her own, forging relationships with likeminded colleagues who understand that there are alternatives to litigation, and there are alternatives to mediation. Cantor sees the Cooperative Divorce as the future for divorcing parties. But it’s precisely this ever changing nature of law that has always appealed to Cantor. “When I became involved in mediation, it was the cutting edge of the law. That appealed to me, because I always want to remain a lifelong student of the law” she says. Along with that constant drive to learn new and better ways of handling family law legal matters comes Cantor’s unwavering commitment to using her decades of expertise and specialization in the area of family law, sometimes as a committee member of the Family Law Section of the California State Bar, which culminated in being Chair of their Executive Committee, or working for every local Family Law Bar in the cities where she practiced. In fact, next year she’ll serve as the Chair of the Certified Family Specialists Committee in San Diego. Spanish-speaking Mediators hold all communications in confidence during the mediation process and will not be a witness for nor against either party in an arbitration hearing or in a court of law. great post.